Long acknowledged as the inspiration for such modern masters as Julia Child and Claudia Roden, A Book of Mediterranean Food is Elizabeth David's passionate mixture of recipes, culinary lore, and frank talk. In bleak postwar Great Britain, when basics were rationed and fresh food a fantasy, David set about to cheer herself —and her audience— up with dishes from the south of France, Italy, Spain, Portugal, Greece, and the Middle East. Some are sumptuous, many are simple, most are sublime. London: Macdonald,, 1958. With decorations by John Minton. Octavo. Finely bound by the Chelsea Bindery in green morocco, titles to spine gilt, raised bands, twin rule to turn-ins gilt, burgundy endpapers, gilt edges. The occasional minor blemish otherwise an excellent copy in a fine binding. Second edition, improved with revisions. Beautifully bound by the Chelsea Bindery. London: John Lehmann, 1950. (UK) First Edition No markings, Near Fine in unclipped Very Good (-) dust jacket with dime-size chip to upper edge of front panel and some loss the the head of spine; dust jacket is fresh and bridht and is now in a mylar sleeve. Warm coloured cloth over boards with gold spine titles on brown spine block, [i-iv] v-xi [xii] [13-14] 15- 191pp, index. This book first appeared in 1950 and is David's first book, based on recipes gathered when she lived in France, Italy, the Greek Islands, and Egypt. B&W drawings by John Minton (1.5 JM HOQ 100/1. 1st. Hardcover. Near Fine/Very Good (-). Illus. by MiNTON, John. 8vo - over 7¾" - 9¾" tall. London: John Lehmann, Ltd, 1950. Illustrated by John Minton. Octavo, 191 pages. FIRST EDITION, first printing. The important first book by one of the greatest of culinary writers. The recipes are based on David's travels in France Italy, the Greek Isles and Egypt. A bit of light soiling to the spine of the printed pink cloth, otherwise fine, in a price clipped dust jacket with significant chips to the spine and top edge. New York: Horizon Press. Near Fine in Very Good dust jacket. 1952. First Edition; First Printing. Hardcover. First American edition. Near fine in very good dust jacket. (Light trace of shelf-soiing at edges. Faint spot at top edge. Chips and general shelf-wear to jacket. ) Author's FIRST book. ; 5 1/2" X 8"; 191 pages . London: John Lehmann Limited. Red Cloth. 191pp. 1951. Second impression - only one year after the first printing of this landmark book in cookery. A lovely, fresh, clean, tight bright near fine copy in a bright very good minus jacket. The frontispiece and title page with attractive woodblock images and the text interspersed with other woodblock illustrations. Original publisher's grey cloth with gilt embossed grey title block to the spine. The jacket has been price-clipped. It has a single circular 8mm stain mark to the rear flap and a smaller light stain/soil mark to the front panel. The jacket has some rubbing with slight loss to the corners and to the head of the spine, but only slight and with no loss of text. There is an expertly repaired 12mm tear to the tail of the rear panel of the jacket. A lovely, fresh, clean, tight, bright second impression copy in bright and very largely complete jacket. Rare in such condition. . Fine. 1951. Second Impression. London: John Lehmann, 1952. Covers and contents in clean, crisp condition with no inscriptions. Dustjacket is not clipped but has a tiny tear (about 1 cm) at head of spine but is otherwise clean and crisp.. Fourth Impression. Orange Cloth. Very Good/Very Good Jacket. Illus. by John Minton. 5" x 7.5". hardback. 2002-04-02. New. Ships with Tracking Number! INTERNATIONAL WORLDWIDE Shipping available. Buy with confidence, excellent customer service! 1988-01-05. New. Ships with Tracking Number! INTERNATIONAL WORLDWIDE Shipping available. Buy with confidence, excellent customer service! 2008-02-03. Good. Ships with Tracking Number! INTERNATIONAL WORLDWIDE Shipping available. May not contain Access Codes or Supplements. May be ex-library. Shipping & Handling by region. Buy with confidence, excellent customer service! John Lehmann, 1951 Third impression of the landmark cookery book. A very tidy clean copy bar one owner's inscription on the flyleaf.. Cloth. Very Good. 12mo - over 6¾" - 7¾" tall. 1988-01-05. Good. Ships with Tracking Number! INTERNATIONAL WORLDWIDE Shipping available. May not contain Access Codes or Supplements. May be ex-library. Shipping & Handling by region. Buy with confidence, excellent customer service! New York Review Books. PAPERBACK. 1590170032 New Condition. . New. Penguin Books. PAPERBACK. 0140460276 New Condition. . New. Dorling Kindersley Publishers Ltd. Hardcover. 0863182410 New Condition. . New. Penguin Books. PAPERBACK. 0140467882 New Condition. . New. London: Macdonald and Co, 1958. DJ slightly discoloured, lightly rubbed, price clipped with a few chips and 1" tear to rear. Some light dampspotting to top of boards and closed edges, slightly shaken, ink inscrip. to f-fep, else pp in good condition, clean and tidy.. 2nd. Hard. Good/Good Minus. Illus. by Minton, John. 12mo. London: John Lehmann, 1951 Third impression, Nov. 1951. HB. Cloth with decorative spine, no dustjacket. 191pp. With title page, frontispiece and chapter heading drawings by John Minton. Elizabeth David's classic celebration of the food and life of the Mediterranean. Good+ : light marks to covers, (hardly visible water stains? ), a few foxing spots to closed edges and margins, light pencil marginal notes. Horizon Press, 1952. DJ not price clipped. DJ has several pieces missing at top and bottom of spine and front cover. Rear hinge of DJ frayed. Image available on request.. First Edition. Hard Cover. VG/Fair. New York Review Books. PAPERBACK. 1590170032 Like New Condition. . Fine. Penguin Books. PAPERBACK. 0140460276 Like New Condition. . Fine. Penguin Books. PAPERBACK. 0140467882 Like New Condition. . Fine. London: Cookery Book Club, 1968. Small label affixed bottom of spine of dust jacket.. Reprint Edition. Hard Cover. Fine/Very Good to Fine. London: John Lehmann Ltd. 1951. 8vo. 191 pp. Original publisher's cloth. Wear to spine ends and boards darkened. Culinary splashes & stains to leaves. With illustrations by John Minton. . Fair. Buckram. Second Impression. 1951. London: Folio Society., 2005. (UK) First Thus No markings, Fine; no Dust jacket as published; includes the slipcase. Paper covered boards with design of olive fruit and leaves, green colth spine with gold titles, green endapers, 265pp, index. This book first appeared in 1950 and is David's first book, based on recipes gathered when she lived in France, Italy, the Greek Islands, and Egypt. The original drawing by John Minton are augmented with watercolors of foodstuffs by McCarthy. A handsome book. (2.5 JM FO 41/5. Hardcover. Fine/No Jacket. Illus. by MiNTON, John; McCARTHY, Sophie. 8vo - over 7¾" - 9¾" tall. 2002-04-02. Good. Ships with Tracking Number! INTERNATIONAL WORLDWIDE Shipping available. May not contain Access Codes or Supplements. May be ex-library. Shipping & Handling by region. Buy with confidence, excellent customer service! NYRB Classics, 2002. Paperback. New. 7.96 x 4.98 cm. London: The Cookery Book Club, 1968. Minimal age toning along the gutter on ffep, else textblock is very clean and tight. Blue boards lightly bumped at tips. Unclipped dust jacket, age soiled, chipping to head and foot of spine, chips/tears to corners. 207pp., including index.. Book Club Edition. Paper-Covered Boards. Very Good/Good+ (in mylar). Illus. by John Minton. 8vo - over 7¾" - 9¾" tall. Hardcover. Penguin Books, 1988-01-05. Paperback. Used:Good. UK: Dorling Kindersley, 1988. Long acknowledged as the inspiration for such modern masters as Julia Child and Claudia Roden, A Book of Mediterranean Food is Elizabeth David's passionate mixture of recipes, culinary lore, and frank talk. In bleak postwar Great Britain, when basics were rationed and fresh food a fantasy, David set about to cheer herself --and her audience-- up with dishes from the south of France, Italy, Spain, Portugal, Greece, and the Middle East. Some are sumptuous, many are simple, most are sublime. This lovely edition in great condition with nice illustrations throughout - 223 crisp pp, 900g packed for post. review >>> Passionate, eloquent stories of delicious food, culture, history. Both precise and poetic. I adored this.. Hardcover. Excellent/Excellent. 24.5cm. London: Folio Society, 2005. First Thus. As new. Quarter cloth with decorated paper covered boards designed by the artist Sophie MacCarthy, illustrated with luscious full color watercolors by the artist, xxii, 265 pages, slipcase. Number 1231 in Folio 60. Folio Society, 2005. clean, unmarked copy in slipcase.. Hardcover. Fine/No Dust Jacket. Published by The Folio Society, London, 2007, 4th printing. Black cloth spine, illustrated paper covered boards. Gilt lettering to spine. Contained in a plaindark green slipcase. 10Ins x 7.25ins, xxii, 265pp plus 9pp colour plates painted by Sophie MacCarthy.Preface by Julian Barnes.. F in VG slipcase. London: Folio Society, 2005. Cloth quarto/Slipcase. Hardcover. Very good. 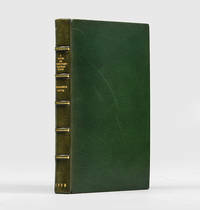 green cloth, illustrated boards, gilt lettering, slipcase, 265 pp. New York Review Books. PAPERBACK. 1590170032 Special order direct from the distributor . New. Folio Society, 2005. Hardcover. Very Good. 2005. 265 pages. No dust jacket, Folio edition with slipcase. Pictorial cloth in green slipcase. Contains colour illustrations. Very good condition item with bright and clear pages. Minimal thumbing to text block edges. Boards are tightly bound and clean, with no defects. Slipcase with light rubbing and marking to surfaces. Small bumping to corners, with sunning overall.